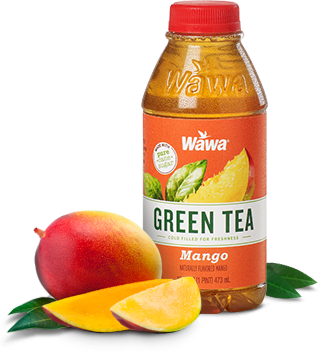 Wawa is committed to making life easier for our customers. We freshly brew our award-winning coffee and whip up delicious specialty beverages using only the finest ingredients, all to offer you quality and satisfaction you can depend on. 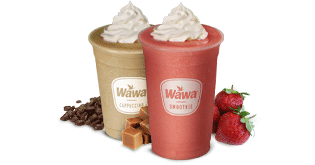 Wawa offers a large selection of frozen beverages, all available Built-to-Order® at the touch screen. With so many varieties to choose from, you're free to create your perfect treat. We make it fresh for you to enjoy within minutes! In a hurry? 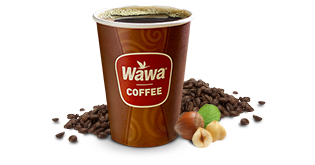 Our coffee is hot, fresh, and ready to go, 24 hours a day, 7 days a week. Or, if it's something cold and refreshing you want, you can quickly grab a bottled beverage from our cooler. Product and participation may vary by store. Mild, medium, or bold, there’s a variety for every coffee lover. Freshly brewed all day, every day! Indulge in frosty delight with one of our specialty frozen beverages. 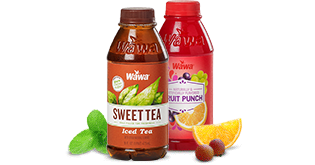 Enjoy our full line of bottled beverages, including iced teas, fruit drinks, sodas, Chilled Cappuccinos, and more. 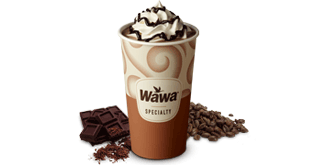 Create your perfect hot or iced beverage, freshly made in lots of delicious varieties.